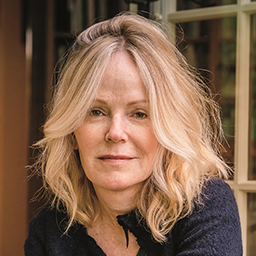 Dani Shapiro is the best-selling author of the memoirs Inheritance, Hourglass, Still Writing, Devotion, and Slow Motion, and five novels, and is the host of the forthcoming podcast Family Secrets. Her work has appeared in numerous publications including The New Yorker, Vogue, The New York Times Book Review, the op-ed pages of The New York Times, and the Los Angeles Times, and has been broadcast on This American Life. She has taught in the writing programs at Columbia, NYU, The New School, and Wesleyan University; she is co-founder of the Sirenland Writers Conference in Italy. A contributing editor at Condé Nast Traveler, Dani lives with her family in Litchfield County, Connecticut.